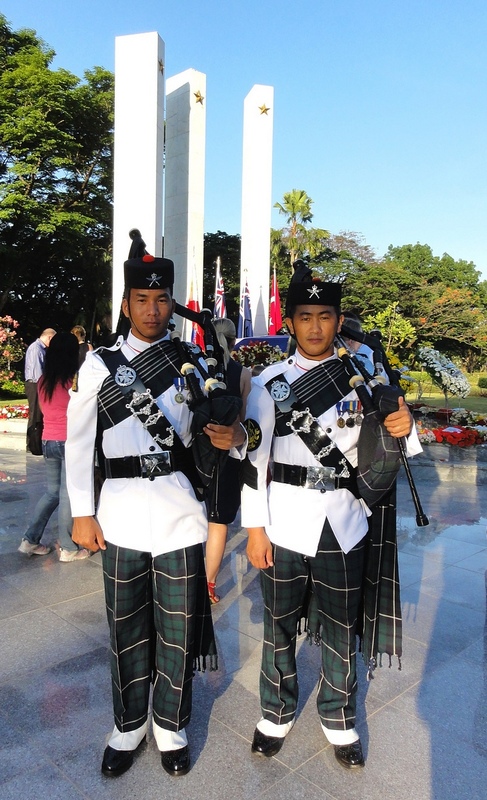 Gurkhas across the world have been getting involved with ANZAC day, commemorating members of the Australian and New Zealand Army Corps who died in all wars, conflicts and peacekeeping operations and the contribution and suffering of all those who have served. Gurkhas have special affinity with the day, especially since the Gallipoli Campaign in 1915 where the they fought valiantly. 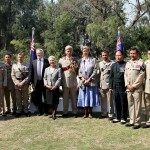 Like in previous years, BGN (British Gurkhas Nepal) received an invitation letter from HE Glenn White (Australian Ambassador to Nepal) to participate in the ANZAC day to be held on 25 April 2014. 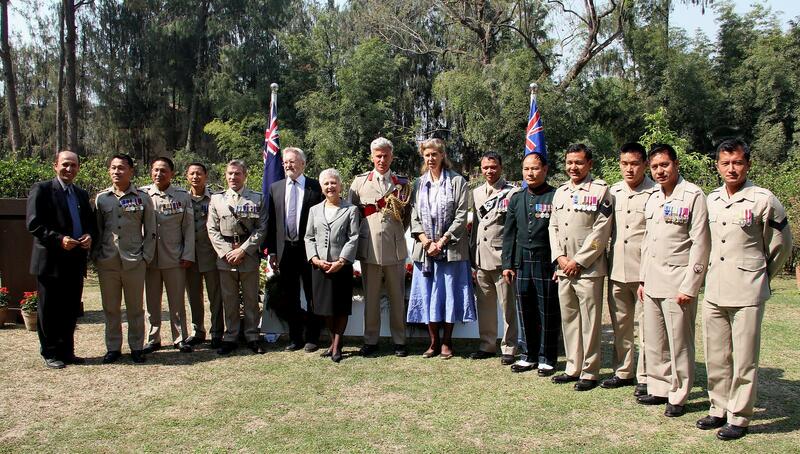 Hence, Col S P F Harris OBE (Comd BGN) and a group of serving member’s, including a piper from BGN participated in ANZAC day commemoration at Australian Embassy, Nepal representing the Brigade of Gurkhas on 25 April 2014. 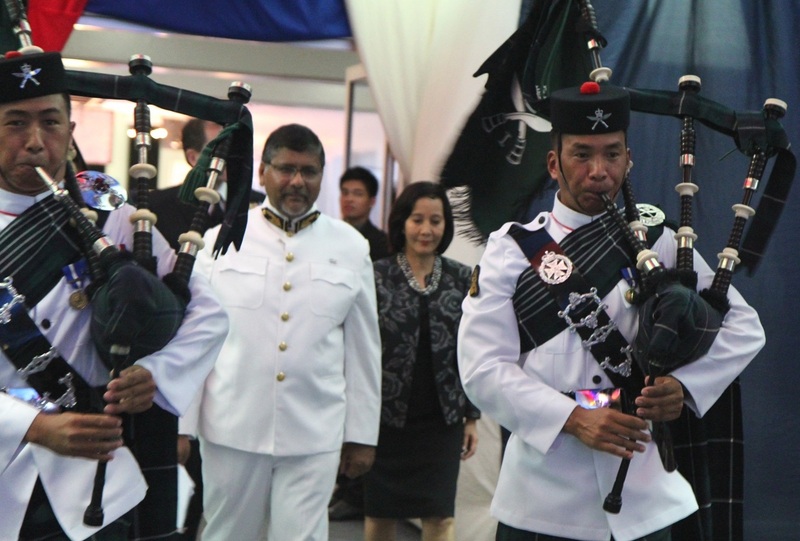 Elsewhere the British and Australian Embassies in Manila invited Pipers from 1 RGR to celebrate an annual event, Queen Birthday Party Celebration and ANZAC Day in the capital city of the Philippines. The Australian and New Zealand embassies had hosted the 99th ANZAC Day dawn service commemoration in Manila. 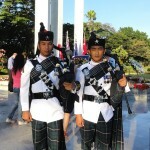 A parade was held on the same day at the Tomb of an Unknown Soldier (Libingan ng maga Bayani) in Fort Bonifacio,Taguig City.